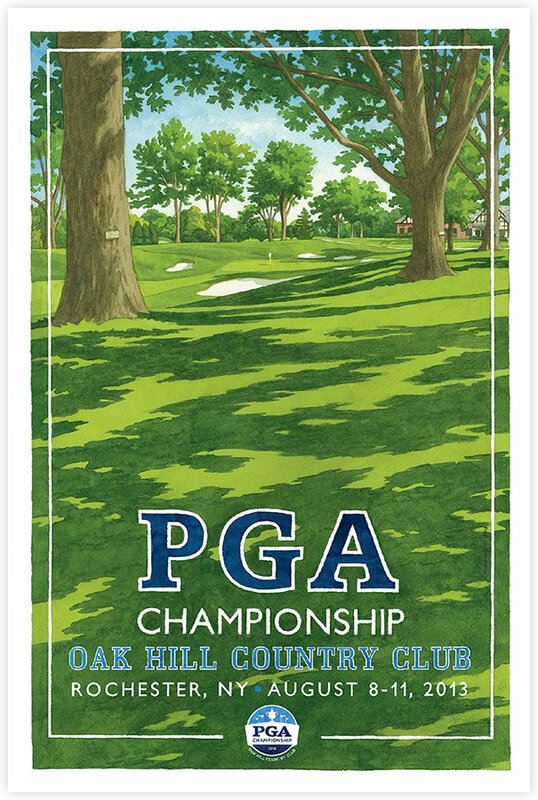 The poster features a stunning view of the 13th hole at iconic Oak Hill Country Cub in Rochester. The Hill of Fame, planted with specimen trees, is located behind the 13th hole and each tree has a dedicated plaque featuring a PGA inductee. This year’s inductee is 8-time major champion, Tom Watson. Following on from the U.S Open and Open Championship, this was Lee’s third major championship poster of 2013.